Baosteel Special Metals Shaoguan contracted Fives to design and supply Bronx two-roll straightener PBRV6, while Turkish steel producer ÇEMTAŞ ordered two Bronx straighteners to process steel bars. The Bronx two-roll straightener is a fully automatic, motorized machine, complete with ancillary electrical and hydraulic control systems, which is able to process steel bars, up to 80mm in diameter at operating speeds of up to 75m/minute. 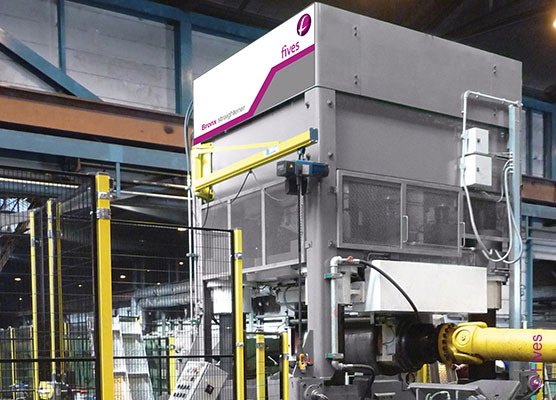 All the machines are designed and pre-assembled at Fives’ workshop in England. 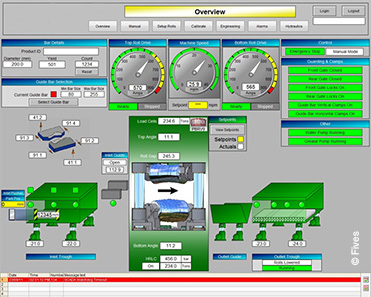 “It’s a very smart machine: all work roll and guide bar functions are set automatically from the HMI panel, located within the operators control desk. Advanced heat treatment processes and profile technology enables the machine work rolls to provide greater product straightness and ovality criteria, before re-profiling or roll change becomes necessary”, says Jane Zhang, Fives Bronx representative in China. Fives has been designing Bronx straightening machines since the 1950s. Today, more than 1,200 Bronx straightening machines have been manufactured and supplied in over 50 countries. Bronx bar straighteners are custom-engineered machines suitable for cold or hot rolled bars. They provide straightening solutions for virtually any material composition and any sizes ranging from 5mm to over 200mm. Bronx two-roll and multi-roll bar machines are used worldwide, providing high level of productivity, excellent standards of straightness, surface finish and controlled surface hardness.